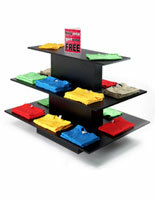 This retail display table keeps clothing and other merchandise neat and organized for your clientele. 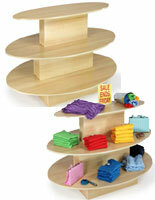 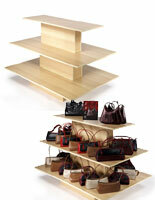 The three tiered shelves almost act like nesting tables, one on top of another. 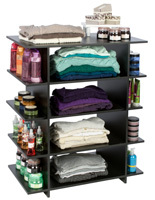 You get approximately 28 square feet of real estate! 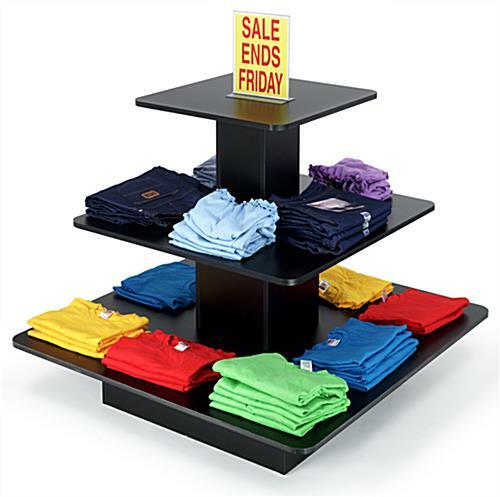 The retail display table features a top shelf to place sign holders with pricing or promotional messages. 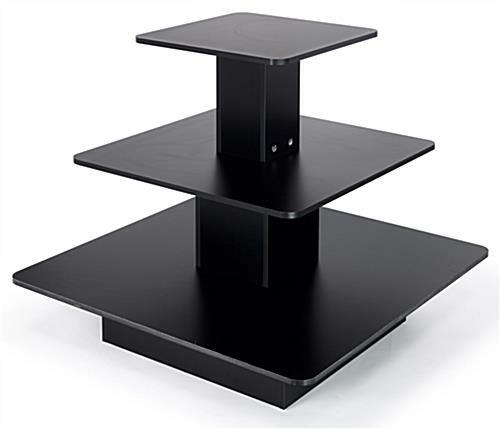 The black melamine construction provides a sturdy platform on which to place offerings and the surface is very easy to clean. 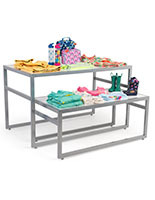 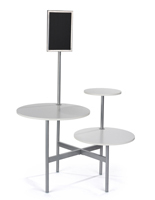 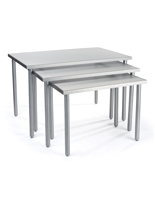 This retail display table ships flat with 2-person assembly suggested.